Many Trump voters did so with full knowledge of his incompetence and mental incompatibility with the office, deciding that a racist huckster was somehow better than the alternative. Others thought voting for him would be funny, or that he could be pulled even further to the right, creating a white nationalist ethno-state. Many, however, were bilked into the deal, somehow believing that the lifelong fraud legitimately cared about the working-class issues he championed at his rallies, thinking his presidency would be defined by anything other than the solitary, venal goal of enriching the billionaire class. These people are many things—gullible, quick to anger, incorrect—all of which has been displayed, yet again, by their actions on the internet. Trump’s latest prominent black person to be in a public fight with is LaVar Ball, the relentlessly self-promoting basketball dad whose son, LiAngelo Ball, was detained in China for shoplifting last week. 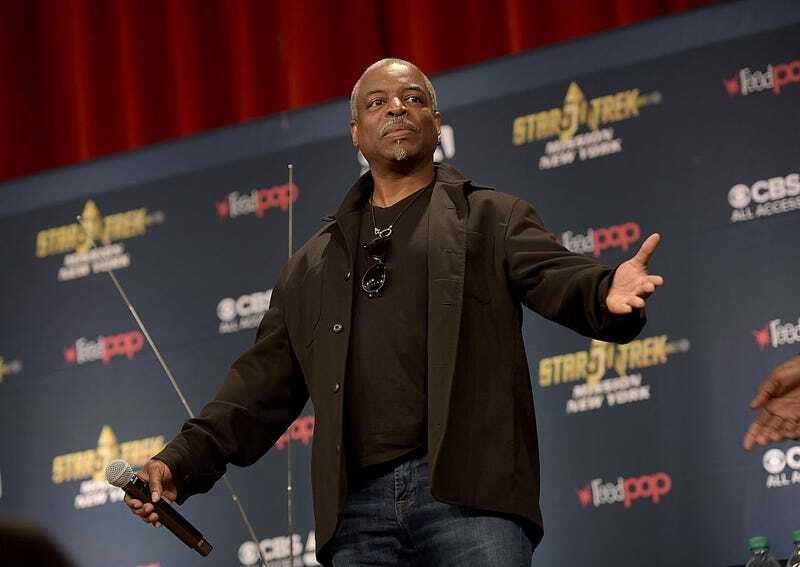 Trump and Ball have since engaged in a public slap-fight that threatens to consume the planet in a swarming black hole of narcissistic idiocy, and Trump partisans are getting in on the fight by lashing out at Reading Rainbow and Star Trek: The Next Generation star LeVar Burton, because they are confused, stupid people. They, uh ... they think he is LaVar Ball. This would, unfortunately, solve the problem for his troll attackers, who act on sight and instinct and little else. It’s almost like Trump was the unexpected beneficiary of poor media literacy and the internet’s unsurpassed ability to disseminate misinformation, and his mobilized supporters are now a leader-less, reactionary mob roving the internet looking for proxy culture wars to express their boiling, class-based resentment. At least Burton, as ever, has a good sense of humor about the whole thing.